Smile Group's lifestyle e-com venture Fashionandyou.com, a private shopping site for luxury brands and designer apparel, has raised its Series D round led by NYSE-listed Chinese discount retail specialist VIPshop's investment arm. Existing investors Norwest Venture Partners and Intel Capital also participated, sources privy with the development told TechCircle.in. This makes one of the rare instance of a Chinese digital tech venture to invest in India. Earlier, Tencent had formed a joint venture with Naspers, which ran several properties including its e-com marketplace. After a corporate restructuring sometime back Tencent is now a minority partner in the e-com business but holds majority stake in the social media properties operating in the country. The spokesperson of Norwest Venture Partners and Intel Capital declined to comment while emails sent and calls made to Harish Bahl and VIPshop did not elicit any response. Since its inception, Fashionandyou claims almost 5 million members. It delivers to over 12,000 pin codes pan India and has distribution centers in Gurgaon. The company deals in categories like apparel, designer wear, handbags, footwear, watches, jewellery, fragrances and home dÃ©cor. 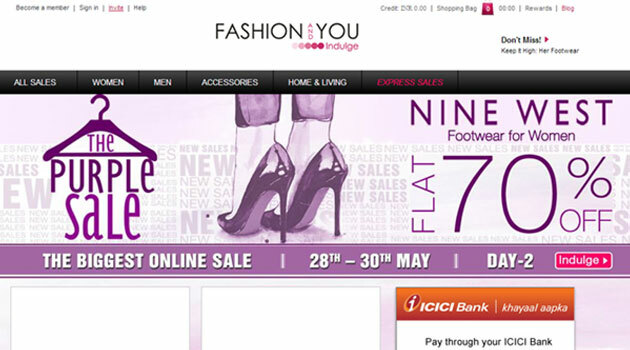 Fashionandyou competes with Myntra, which was recently acquired by Flipkart and Rocket Internet's Jabong besides Koovs, Shopnineteen, Yebhi, Zovi, DoneByNone among others. At one time, the most heavily funded lifestyle e-com venture in the country, Fashionandyou lost out to the Myntra and Jabong. It had raised $45 million spread across three rounds from Norwest Venture Partners, Intel Capital, Sequoia Capital and Nokia Growth Partners. Two years ago it had acquired fashion and beauty e-tailer Urbantouch.com but later shut the site. VIPshop is China's leading online discount retailer for brands. Since starting up in August 2008, the company has built a sizeable and growing base of customers and brand partners. It ended last quarter with total net revenues of $701.9 million, rising 125 per cent over the prior year period, led by 165 per cent increase in the number of active customers to 7.4 million from 2.8 million and a 129 per cent increase in total orders to 20.2 million from 8.8 million over the prior year period. Interestingly, Sequoia Capital, one of the VC investors in Fashionandyou, is also an early investor of VIPshop.